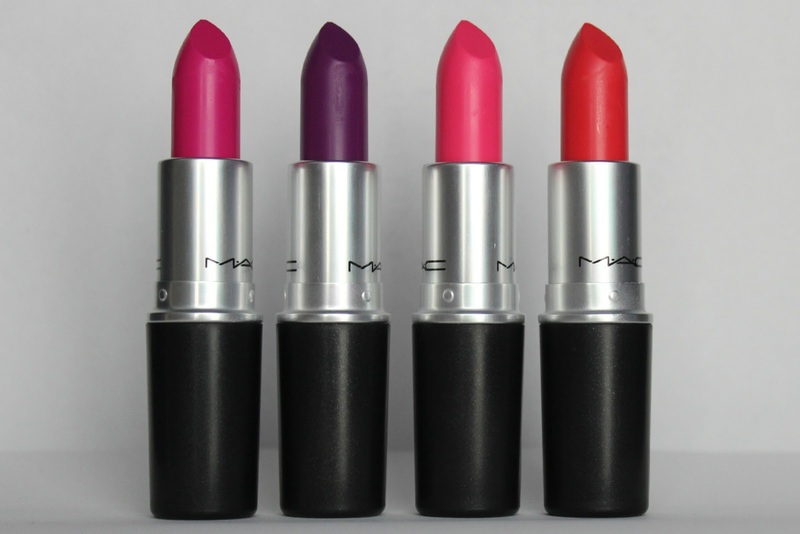 MAC recently released their 2013 Fashion Sets Collection and MAC addicts everywhere where all about getting their hands on the lipsticks. With this release we also saw a return of the much coveted Heroine Lipstick that launched last year. I purchased all of the lipsticks so I thought that I would share them with you guys. Also, even though the lipsticks quickly sold out on MAC.com and with other retailers, you may still be able to find them at a counter and they also should launch internationally in May! I actually like all of the colors but Silly will take some work for me to get it to look cute on my darker complexion. For reference, I am NW43/NW45 in MAC and 175 Cafe in Make Up For Ever HD Liquid Foundation. I hope you guys were able to get your hands on your favorite lippies! © 2019 ShinyHappyPretty|ProPhoto Photo Theme|Design by Northfolk & Co.